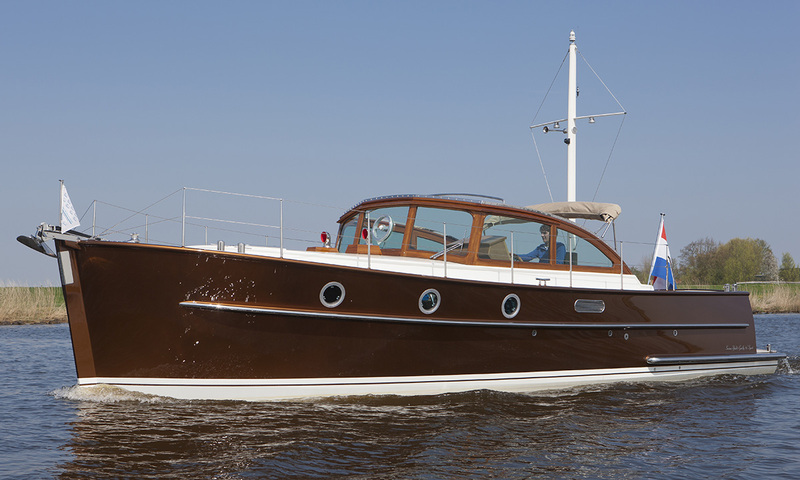 Stylish sailing, that is what the Gently 36&apos; Sport is built for. 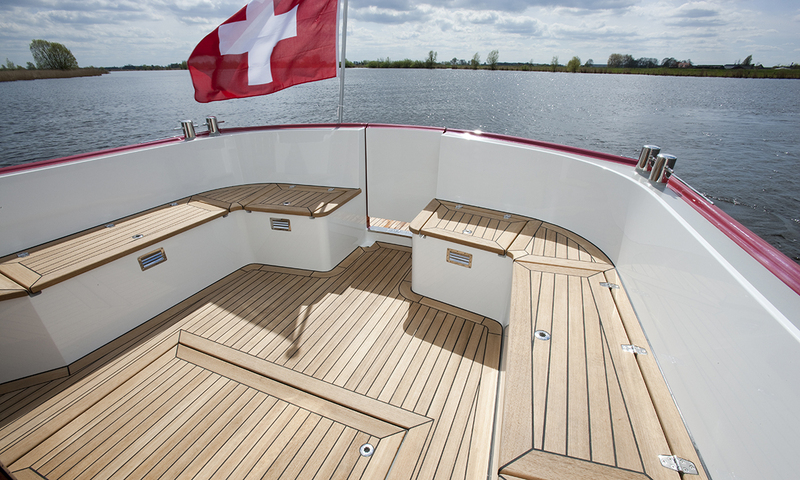 When the convertible roof is open, you can take the helm in the fresh air while your loved ones recline in the corner seats. 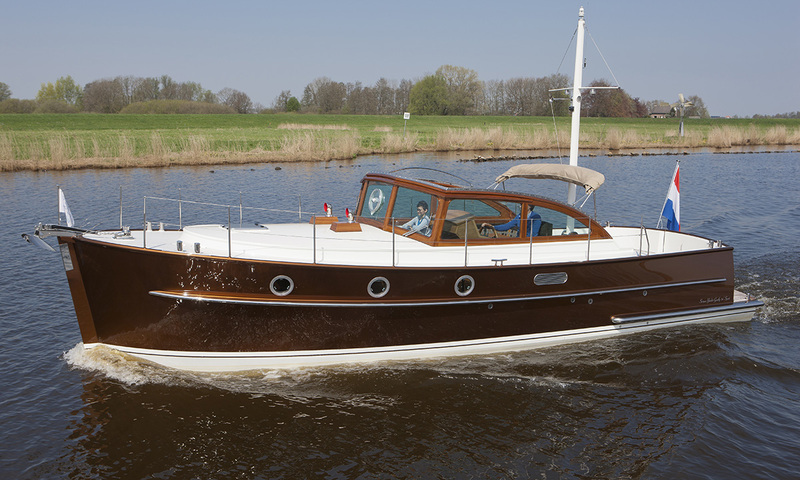 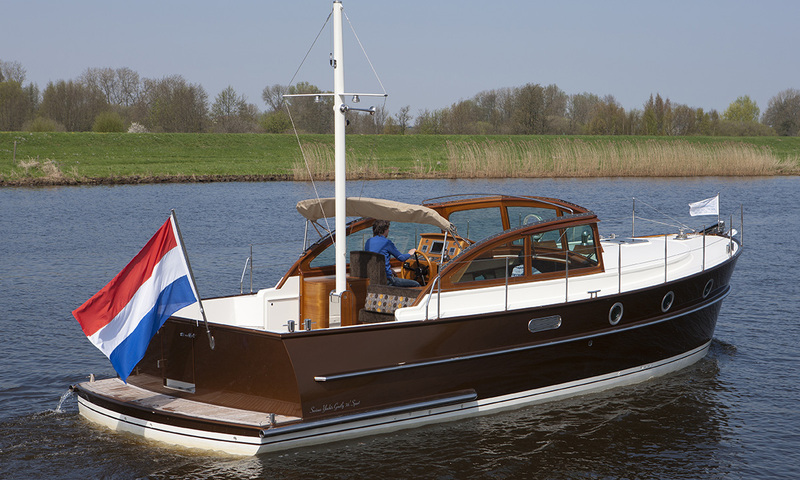 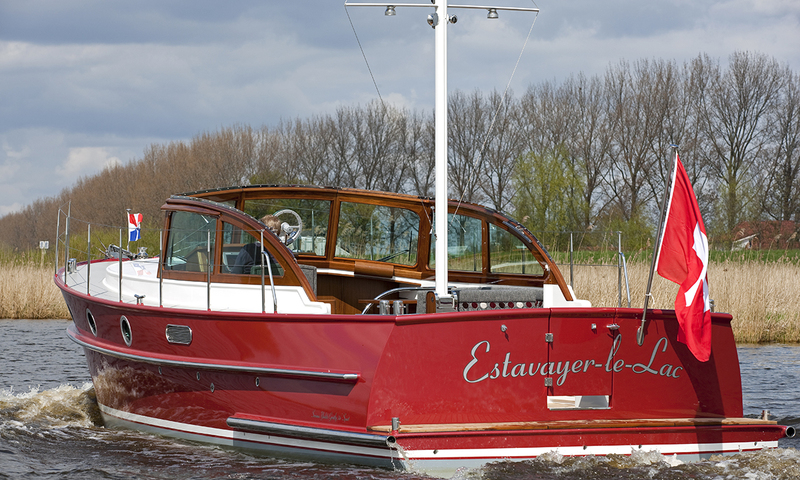 The Gently 36&apos; Sport is perfect for daytrips as well as for long holidays. 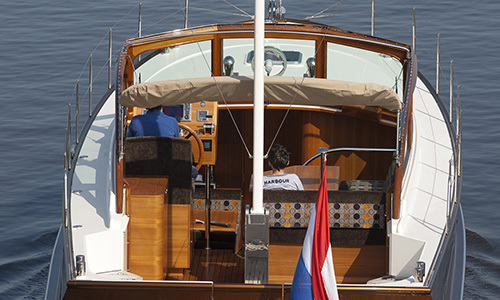 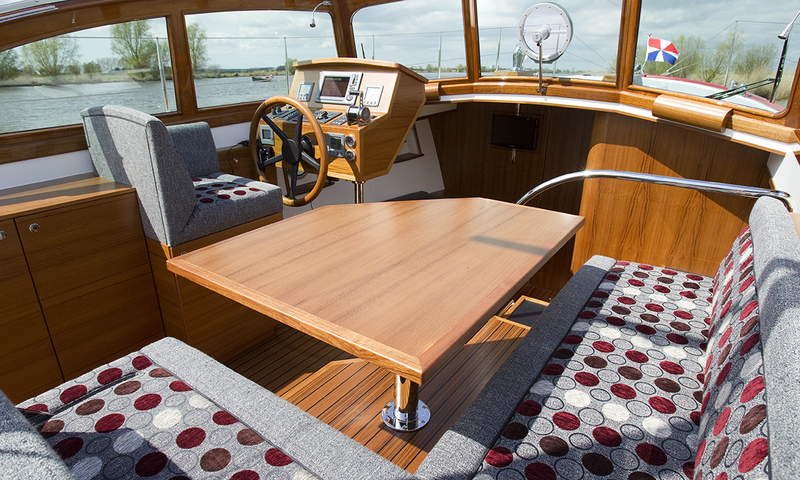 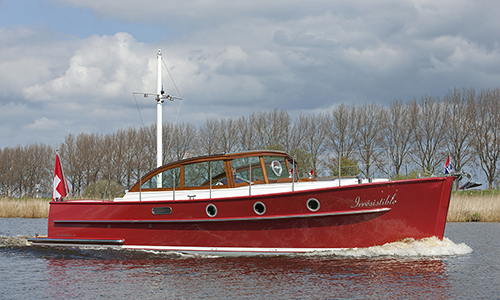 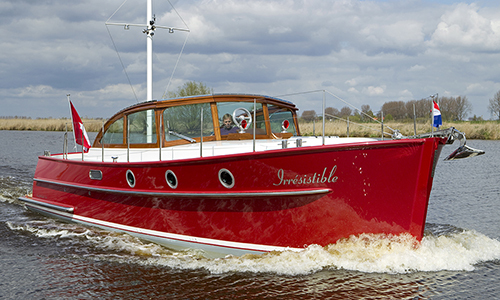 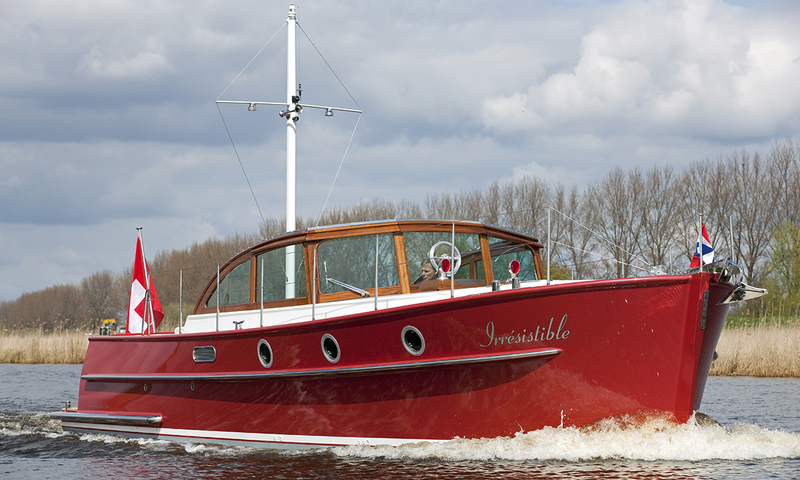 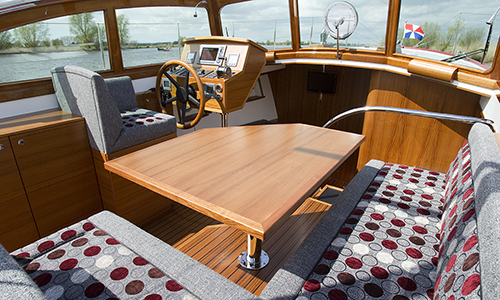 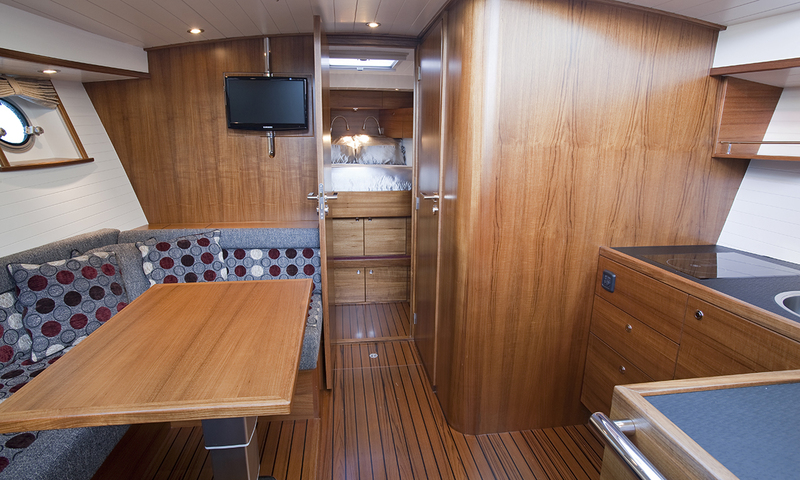 Besides a large, open cockpit and seating at the wheel, this 11-metre convertible yacht has a dinette in the bow. 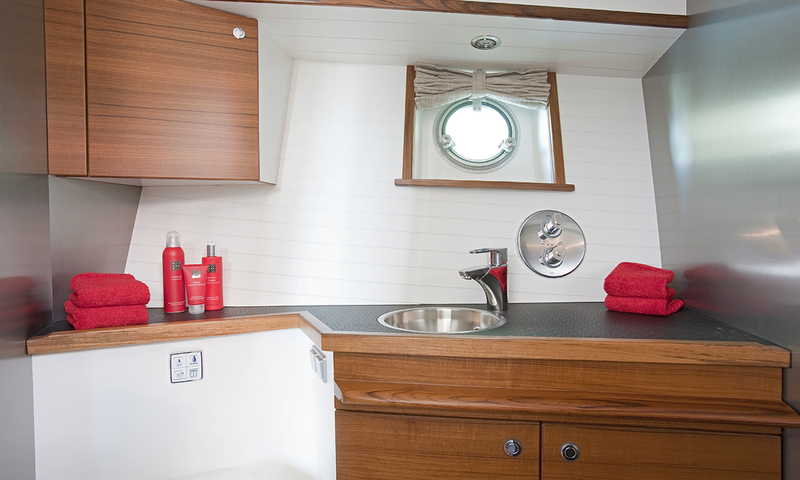 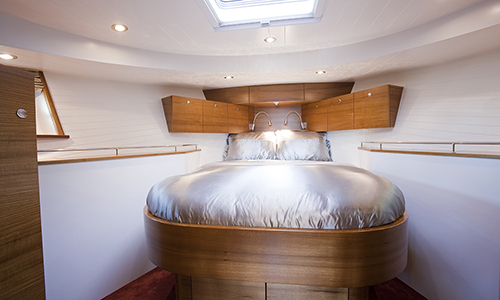 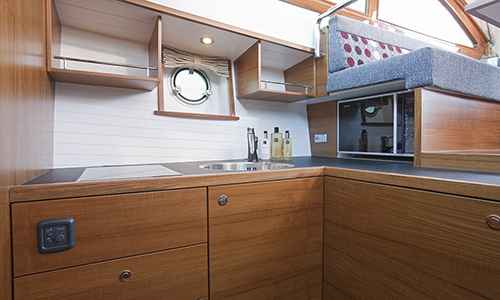 The captain&apos;s cabin in the bow, the luxurious bathroom and modern galley together make every trip on the Gently 36&apos; Sport a journey filled with highlights. Thanks to its compact dimensions, the Gently 36&apos; Sport can sail virtually any body of water, from the Dutch rivers to the lakes of southern Europe. 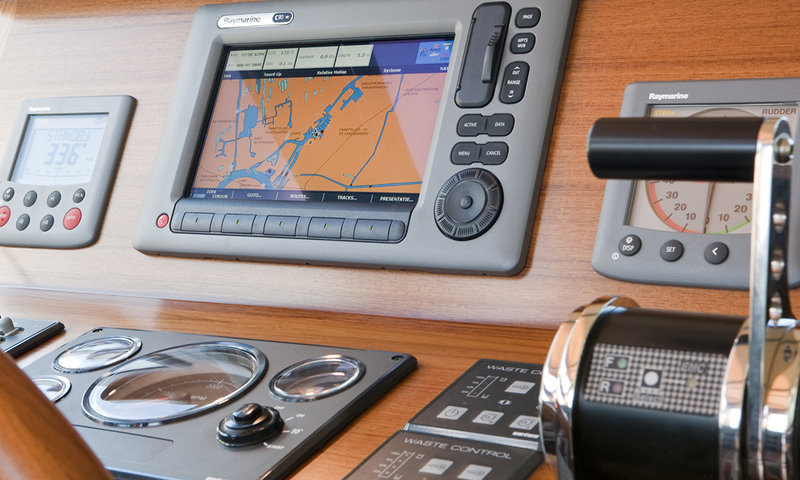 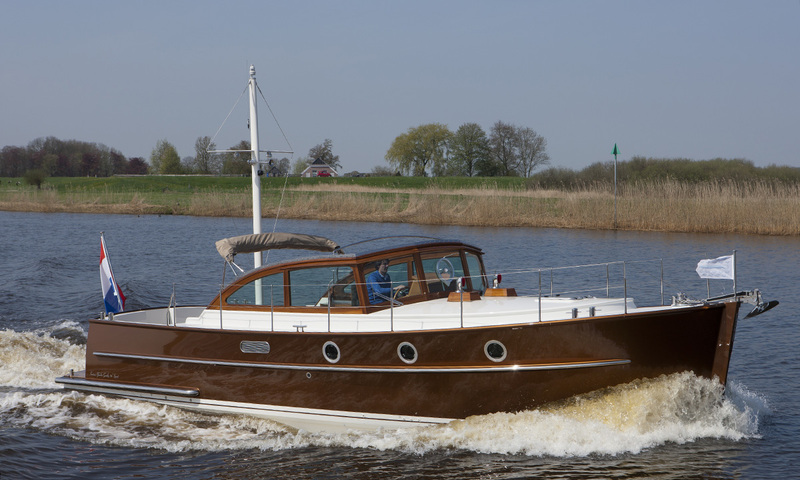 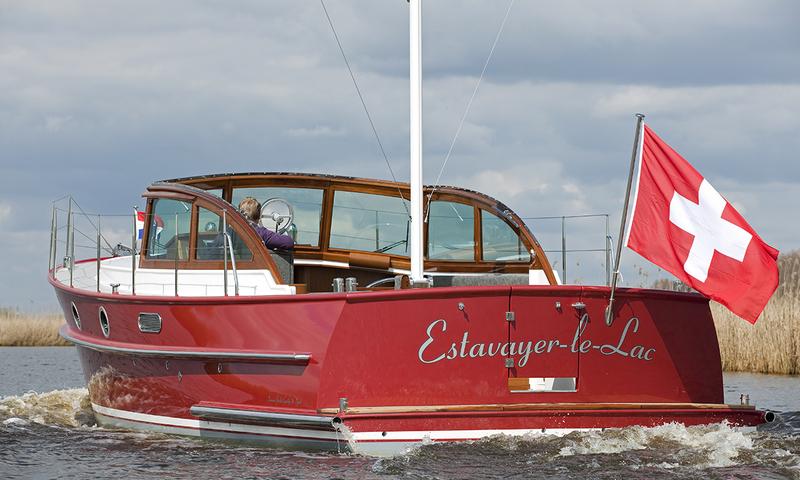 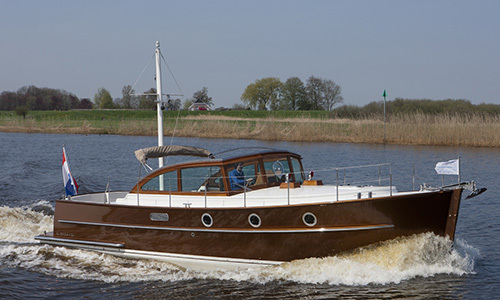 With its CE-B category, this yacht is perfect for exploring all European coasts. 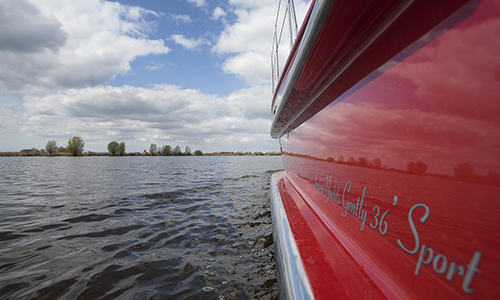 Does your itinerary lead your straight through the continent? Not a problem at all: with an air draft of 2.30 metres and its stylish, electrical mast, no bridge is too low for this yacht. 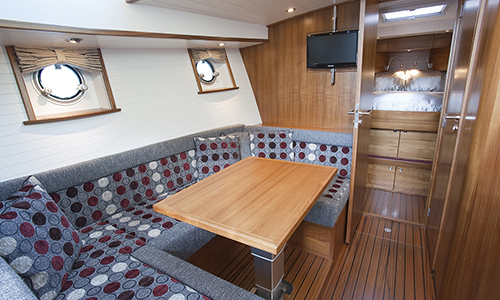 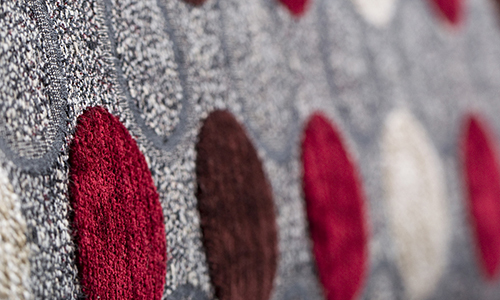 Length / Width / Draught 11,00 / 3,80 / 1,10 m.